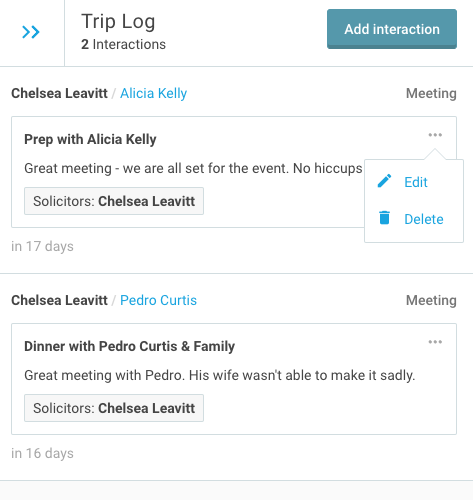 All interactions created via a Trip will be listed in your Trip Log. 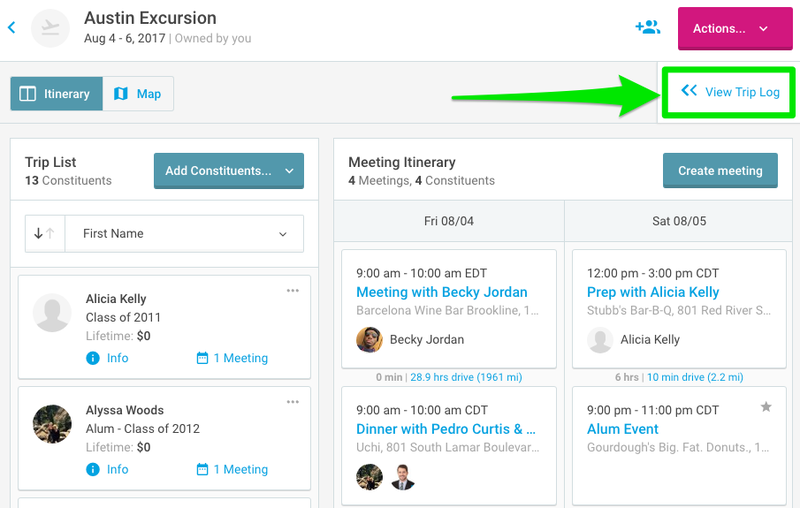 Click "View Trip Log" to open up the Trip Log side-module. Here you'll see all interactions created on that trip and can choose to edit or delete them. 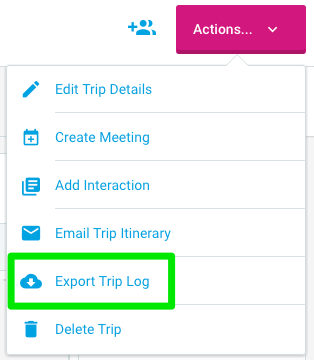 To export your Trip Log, open up the Actions drop-down menu in the upper-right corner of your trip and click "Export Trip Log." 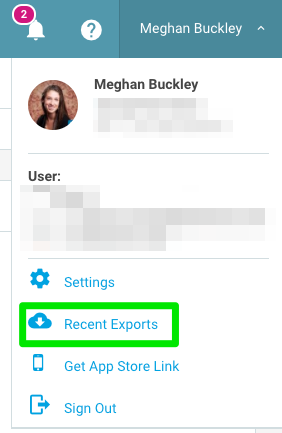 If you wish to proceed, hit "Continue Export" in the pop-up module to kick-off your export. 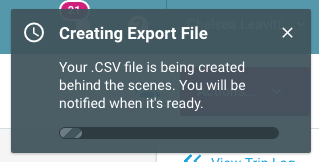 Once it completes processing, you will be able to access the generated CSV file in your Recent Exports. All exports, including your Trip Log, will be stored in Recent Exports for up to 90 days post-creation. Note, all interactions written in EverTrue can be exported by an Owner of the account at any time.